Thanks, Mail Carrier | The Pirate Fairy Blu-ray DVD Combo Pack Available Today! 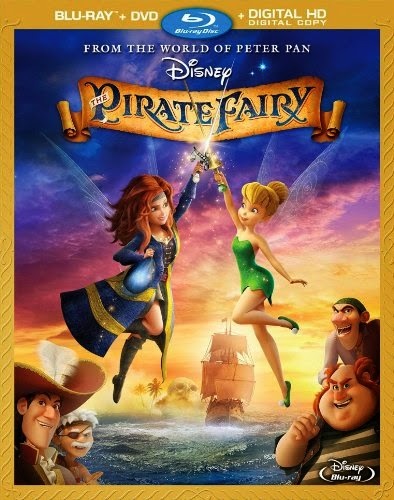 The Pirate Fairy Blu-ray DVD Combo Pack Available Today! While my daughters have a variety of hobbies and interests, Little Sister B has two in particular that I would dub "passions" more than just "likes." There really isn't much that she adores more than princesses and fairies! 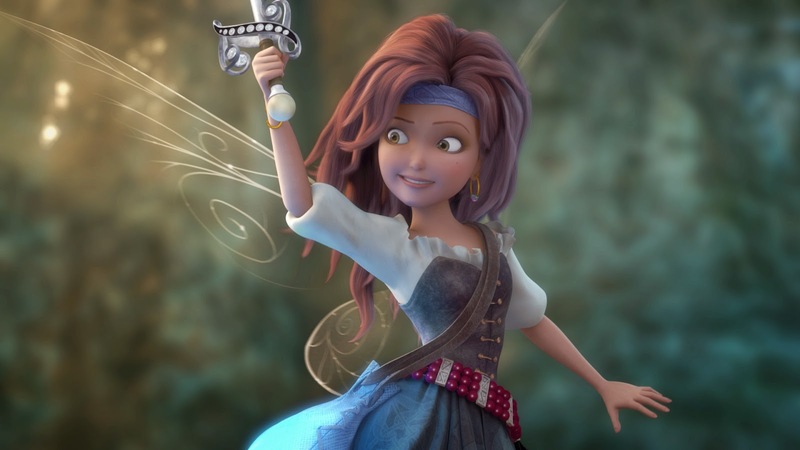 Therefore, when we heard that there was a swashbuckling new adventure that would combine her beloved fairies of Pixie Hollow with the action and adventure of pirates that Big Sister E enjoys, I knew that Disney's The Pirate Fairy would be a big hit! From the world of Peter Pan comes The Pirate Fairy, a tale about Zarina, a smart and ambitious dust-keeper fairy who's captivated by Blue Pixie Dust and its endless possibilities. Tinker Bell and her friends must embark on an epic adventure to find Zarina, and together they go sword-to-sword with the band of pirates led by a cabin boy named James, who'll soon be known as Captain Hook himself. 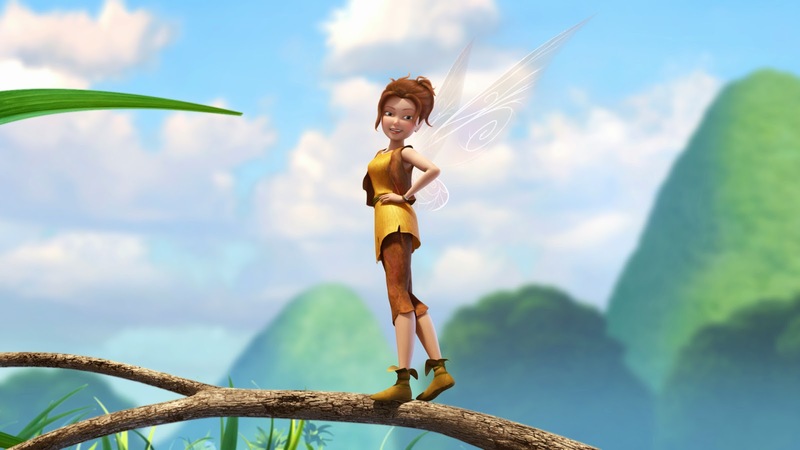 Will Tinker Bell and her friends retrieve and return the Blue Pixie Dust to Pixie Hollow? Will the fairies be able to recapture their own individual talents when Zarina switches them with one another? Will they be able to use faith, love and Pixie Dust to defeat the future Captain Hook and his gang of pirates? Take a peek and see for yourself! Second Star To The Right: The Legacy Of Never Land - explore Never Land's history and its endless ability to inspire. Croc-u-mentary - "Crocky" and his real-life relatives are the subject of this funny documentary. The Making Of "The Frigate That Flies" - go behind the microphone with Tom Hiddleston for a close-up look at the recording of the song. Filled with laughter, heart, magic and thrills, The Pirate Fairy has a running time of 78 minutes and is available today, April 1st, 2014. If you have a fairy fan in your household, be sure to keep an eye out for this magical Disney film at your local retailers as well as from Amazon (where the Blu-ray Combo Pack retails for $24.99). 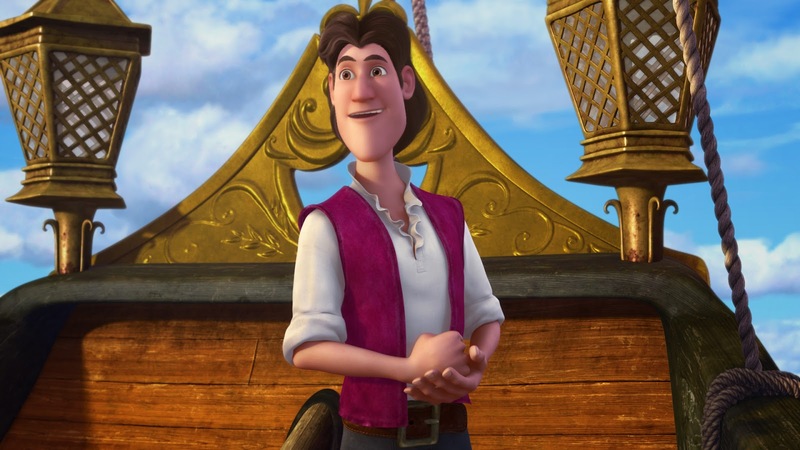 To find out more, visit the Pirate Fairy website and Pinterest page and connect with Disney Pictures on Twitter and Disney Fairies on Facebook. To get in on the Pirate Fairy fun even more, check out these activities, games, coloring sheets and more! I was able to see this in the theater as a sneak preview and my littles LOVED it. Great music in the movie. Abby loves this movie. We of course, have already bought the fairy set at the Disney store. LOL! This looks like a good one, definitely something I would like to see. Thank you for sharing this review and the video clip. I think the concept of a pirate fairy is so cute. I would like to see this movie. i've heard many good things about this movie! I know a little girl who is a big fan of Tinker Bell, and this DVD would make a great gift for her. Thanks for the heads-up. looks like a funny and cute movie for the kids. i think it will be fun for them and me to watch together. thanks for the heads up. I would like to see "The Pirate Fairy" with my niece. I know she would enjoy this Disney film. I know my niece would love this one. Thank you for your review. I can't believe all the movie tie-in toys they have for movies these days. You could spend a lot. Great DVD to have for kids. I love the imagination and magic in these shows. Thanks for the reviews. I am not one to keep up on all the new shows out there.